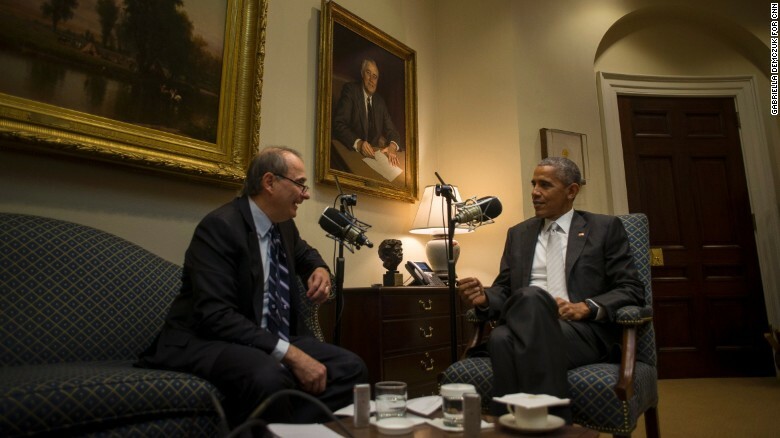 President Barack Obama, in a Dec. 26 interview with David Axelrod for his “Axe Files” podcast produced by CNN and the University of Chicago’s Institute of Politics, suggested that, had he been able to run, he could have won a third term in the White House. 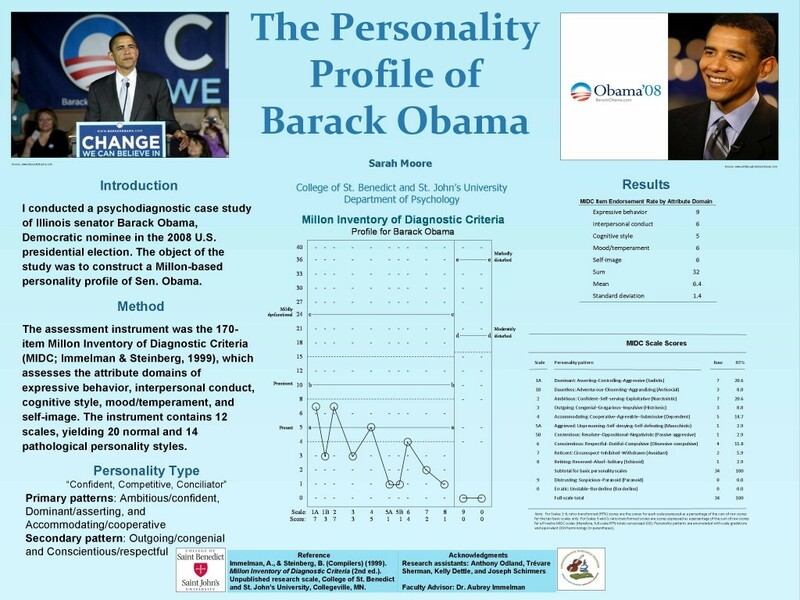 The Presidential Electability Index (PEI) developed at the Unit for the Study of Personality in Politics (USPP), which has accurately predicted the outcome of every presidential election since 1996, suggests that Donald Trump would beat Barack Obama in a hypothetical presidential election matchup. President-elect Donald Trump has nominated former Texas Gov. 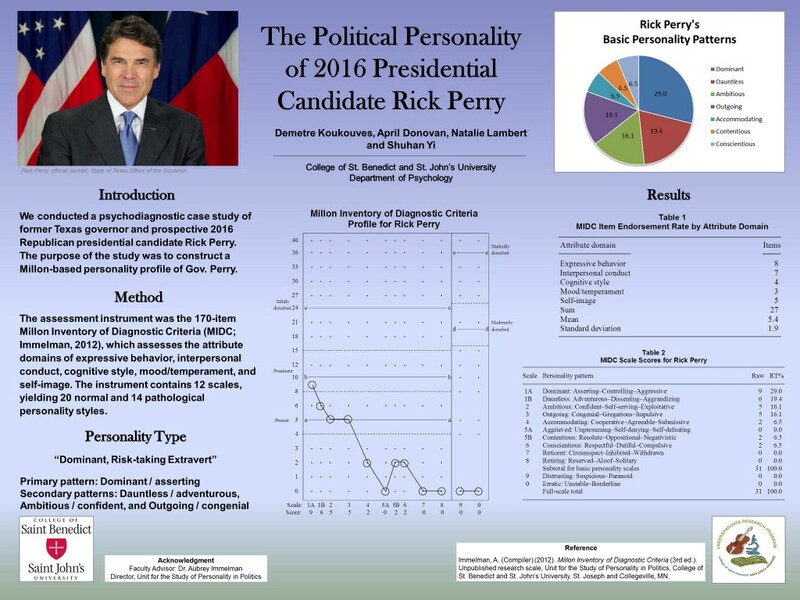 Rick Perry — a contender for the Republican nomination in the 2012 and 2016 presidential elections — to serve as secretary of the U.S. Department of Energy. 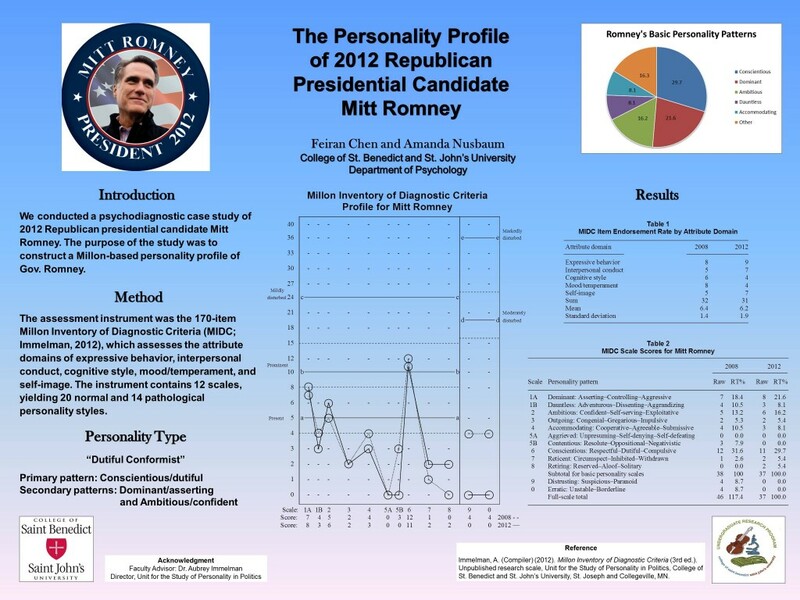 A psychological analysis of former Texas governor Rick Perry by Demetre Koukouves, April Donovan, Natalie Lambert, Shuhan Yi, and Aubrey Immelman, Ph.D., at the Unit for the Study of Personality in Politics, revealed that Perry’s primary personality pattern is Dominant/asserting, complemented by secondary Dauntless/adventurous, Ambitious/confident, and Outgoing/congenial features. In summary, Perry’s personality composite can be characterized as a dominant, risk-taking extravert. President-elect Donald Trump has nominated retired pediatric neurosurgeon Dr. Ben Carson — a contender for the Republican nomination in the 2016 presidential election — to serve as secretary of the U.S. Department of Housing and Urban Development. “Ben Carson has a brilliant mind and is passionate about strengthening communities and families within those communities. 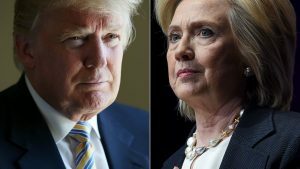 … He is a tough competitor and never gives up,” Trump said in a statement. 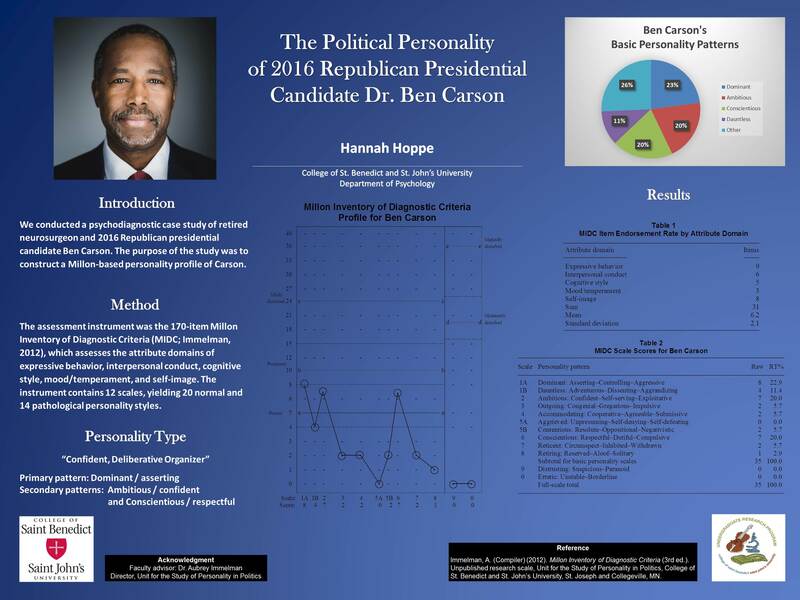 A psychological analysis of Ben Carson by Hannah Hoppe and Aubrey Immelman, Ph.D., at the Unit for the Study of Personality in Politics, revealed that Carson’s most prominent personality patterns are Dominant/assertive, Ambitious/confident, and Conscientious/respectful. In summary, Carson’s personality composite can be characterized as a confident, deliberative organizer, suggesting a well-balanced, even-keeled personality relatively flexible in the ability to respond adaptively to a broad range of situational demands. Regarding President-elect Donald Trump’s fitness to lead, a promising sign is that he has shown a willingness to surround himself with level-headed, competent advisers capable of smoothing the rougher edges of his personality — foremost among them campaign manager Kellyanne Conway and White House Chief of Staff designate Reince Priebus. Imminently, the next big test for Trump is whether he can resist the impulse to appoint top campaign surrogate and loyalist Rudy Giuliani — whose personality limitations parallel and amplify those of Trump — to the key cabinet post of secretary of state, fourth in the presidential line of succession. Trump would be well advised to swallow his pride and show strength of character — which in the course of the transition he has already shown himself to be capable of — and give the nod to his harshest critic in the Republican establishment, Mitt Romney. The very temperamental blandness that made Romney a weak presidential candidate makes him an exceptional choice for the top cabinet post in the Trump administration — the protestations of many Trump supporters, chief among them Newt Gingrich and Mike Huckabee, notwithstanding. What role for Rudy Giuliani in Trump administration, if not Secretary of State? 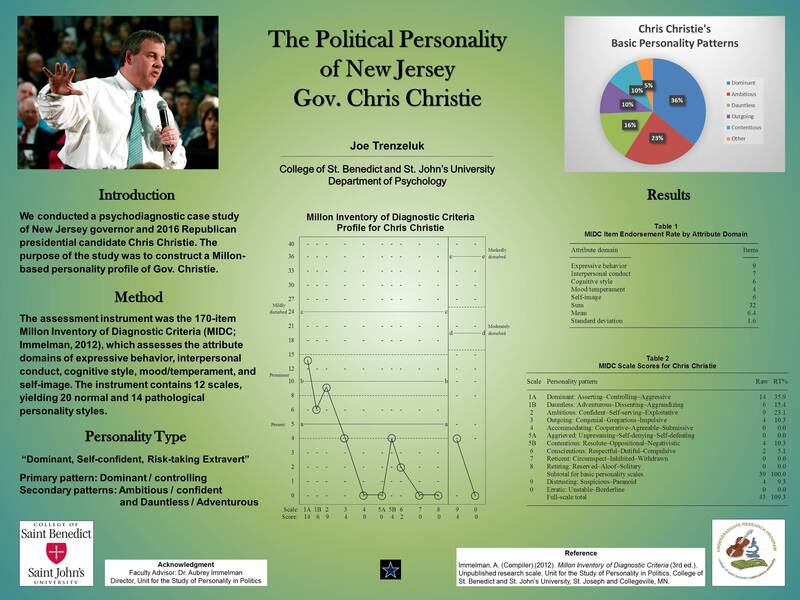 … Chris Christie White House role uncertain … Rick Perry for Energy Secretary? 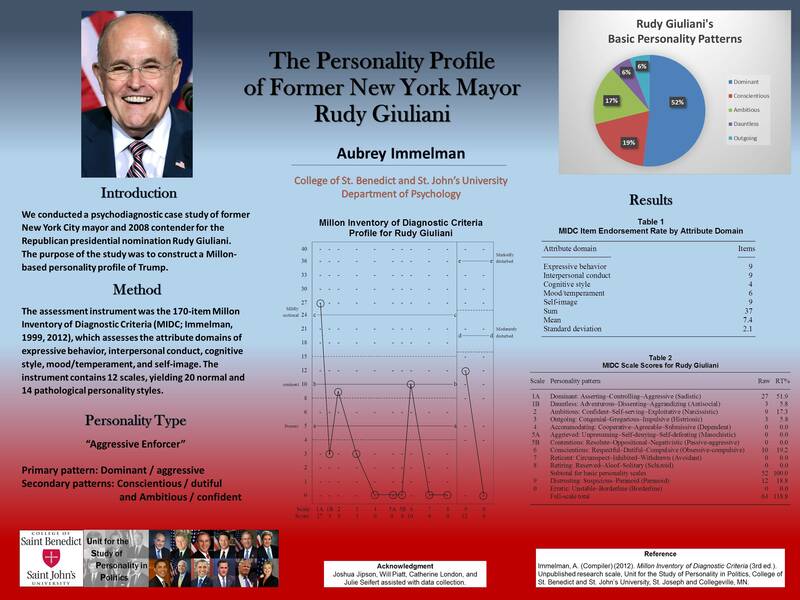 Considering his personality profile and leadership experience in the wake of the 9/11 terrorist attack and its aftermath, Rudy Giuliani would be better suited as Secretary of Homeland Security. Giuliani’s forceful, uncompromising manner, though in many ways an asset in his quest to wrest control of the mean streets of New York City from lawless elements, served as a double-edged sword as the public witnessed a voracious appetite for belittling opponents with derisive social commentary. 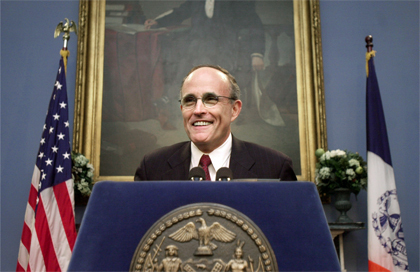 Despite his successes as mayor, Giuliani had developed a reputation for his overbearing and abrasive style, occupying the role of theatrical antagonist on the public stage as New Yorkers watched his fiery outbursts play out against the backdrop of the city. 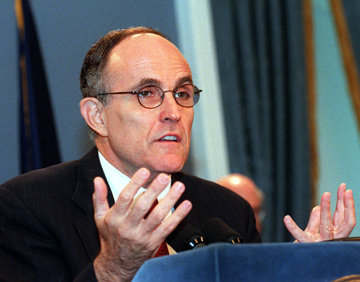 New York major Rudolph Giuliani holding a news conference at City Hall, April 27, 2000. 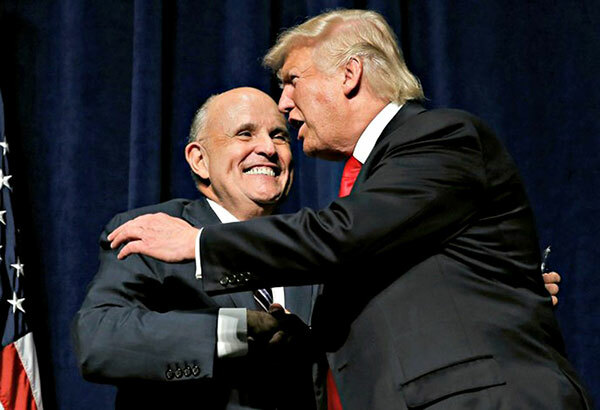 Claims of a new Rudy notwithstanding, logic dictates that Giuliani remains the dominant, controlling, aggressive personality whose combative orientation was as instrumental to his successful track record as a prosecutor as it has been in his crusade to clean up the streets of New York City. 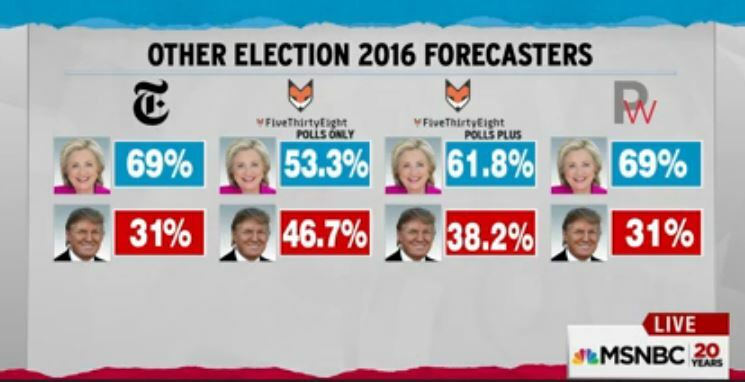 That is at variance with the Personal Electability Index (PEI) developed at the Unit for the Study of Personality in Politics, which has accurately predicted the outcome of every presidential election since 1996, before Super Tuesday — 8 months prior to the presidential election. 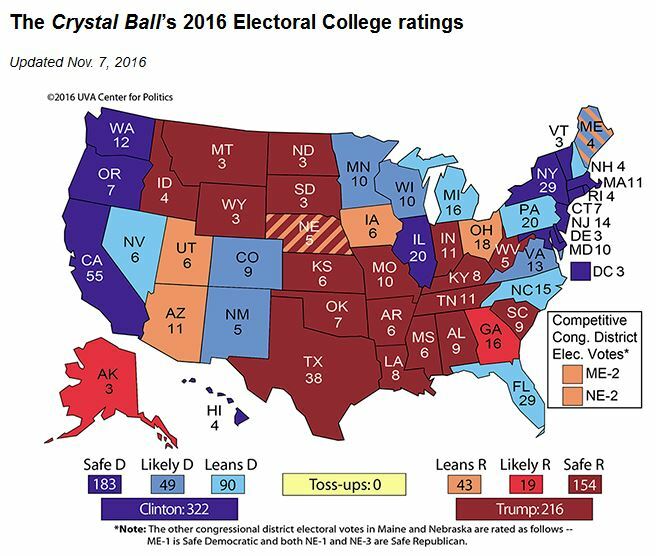 November 9, 2016 update: Turns out the Personal Electability Index is sufficiently robust. 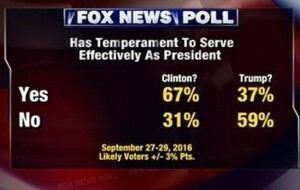 Donald Trump’s temperament: Is he fit for office as president? 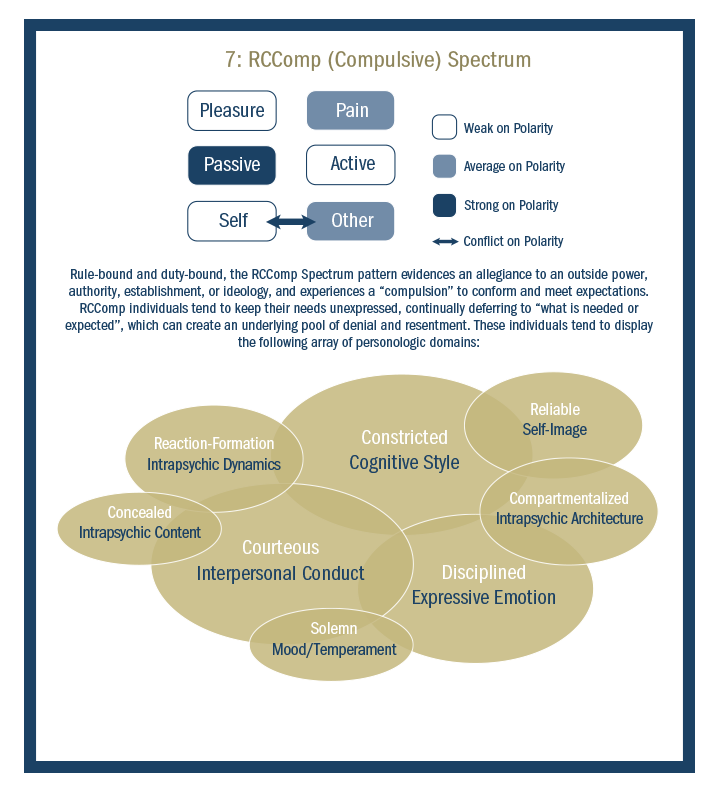 In practical terms, temperament shares much in common with the notion of “emotional intelligence,” which refers to the ability to recognize and understand one’s own emotions, and those of others, and to manage one’s own emotions and influence those of others. This capacity for emotional awareness, empathy, and skillful interpersonal relationships is a critical ingredient of effective leadership. Millon, T. (1996). 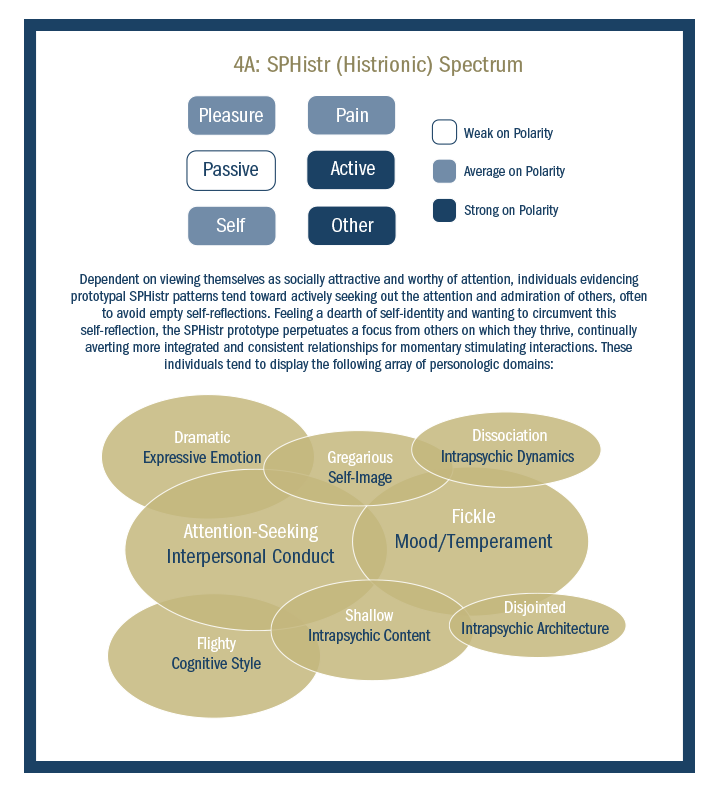 Disorders of Personality: DSM–IV and Beyond (2nd ed.). New York: Wiley. Four days after the debate, why can’t Donald Trump let go of the decades-old former Miss Universe, Alicia Machado, imbroglio — especially when it can only hurt him with the key suburban women demographic? Short answer: Narcissistic leaders display grandiosity, are vulnerable to criticism, and lack empathy. In response to personal slights, they are prone to lash out vindictively against their critics and blame others for their own failures (see “Why tyrants go too far: Malignant narcissism and absolute power” by political scientist Betty Glad in Political Psychology, vol. 23, no. 1 [March 2002], pp. 1-37). 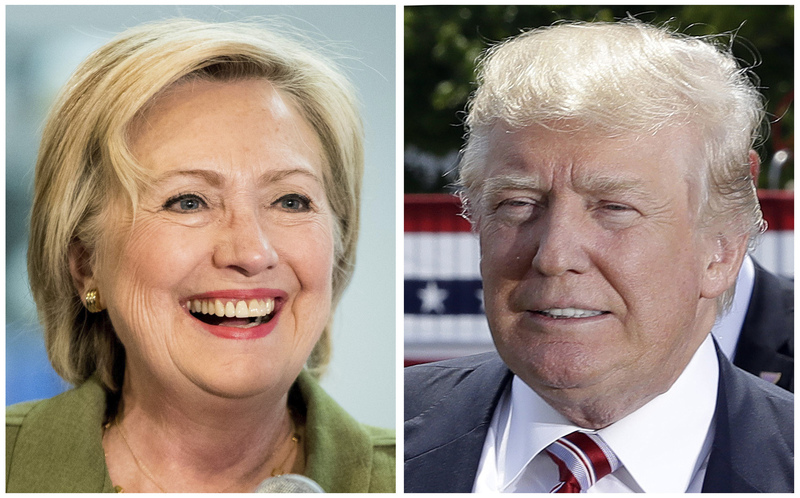 Preview: Who will win the Clinton-Trump presidential debate? 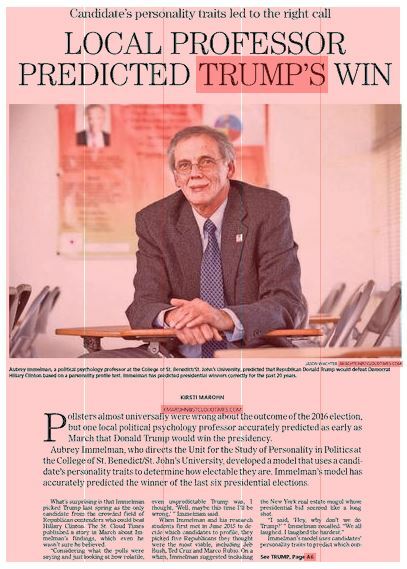 From the perspective of the psychology of politics, the obvious explanation is that Machiavellians like Trump thrive in unstructured or ambiguous situations. 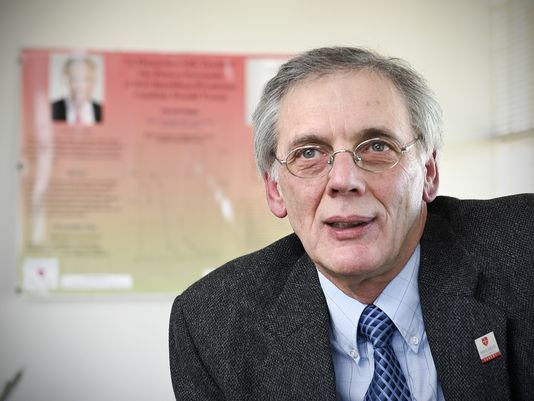 The Machiavellian political type, according to Richard Christie & Florence Geis (Studies in Machiavellianism, 1970), is a person who delights in manipulating other people’s feelings and behavior, but whose own behavior in emotion-arousing situations is cool and rational. According to research by Christie and Geis, high “Machs” thrive in face-to-face interactions because of their ability to remain emotionally detached in highly charged, stressful situations. This is especially true in unstructured or loosely structured situations that offer broad latitude for improvisation (such as an unmoderated debate), which allows them to distract adversaries and throw them off script while remaining cool, calm, and collected. Such a psychological profile, available elsewhere on this site, already exists. 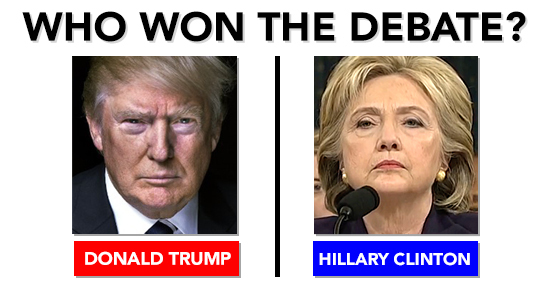 At the moment, Trump and Clinton are proving the point. In political ads or on the stump, neither campaign is talking mostly about tax policy or a health care overhaul or NATO’s future. 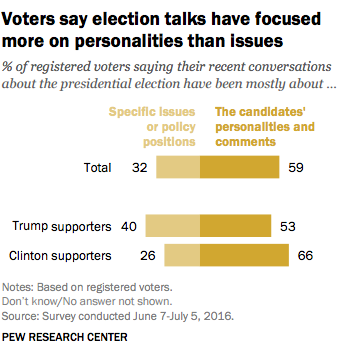 Instead, each is attacking the opponent as lacking the core qualities needed in a president. It’s about characteristics that come through regardless of any attempts at political plastic surgery during a campaign. 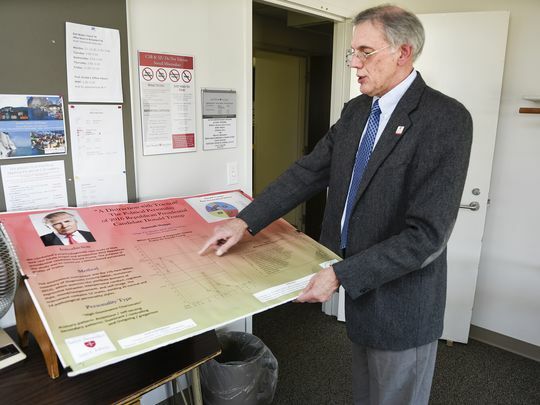 Although candidates often try to slide a bit back to the political center after primary campaigns dominated by partisans of the right or left, they don’t suddenly become different people, with different personas. 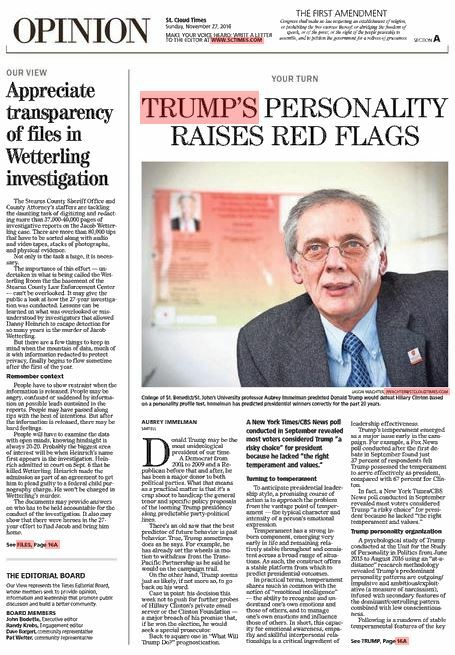 Both candidates have well-known vulnerabilities on that measure. Trump has been full of bluster and bombast — deriding a Gold Star family, questioning the ability of a judge of Mexican heritage to be fair, ridiculing a disabled journalist. Meanwhile, Clinton has become enmeshed in self-inflicted controversies over her decision to exclusively use a private email server as secretary of State, and her failure to avoid the appearance of conflicts of interest involving donations to the Clinton Foundation from foreign governments and interests. 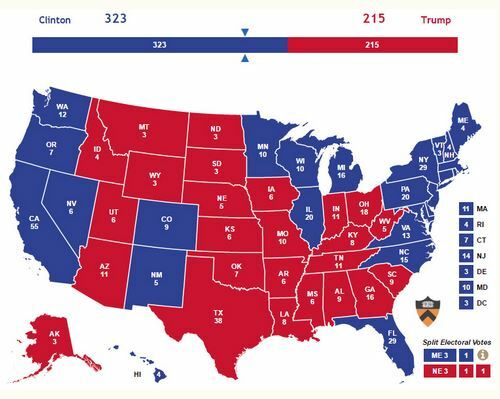 What will be decisive in this campaign isn’t a well-delivered speech on a teleprompter or a carefully calibrated position. It will be a fundamental assessment about the wisdom and character of a prospective president. 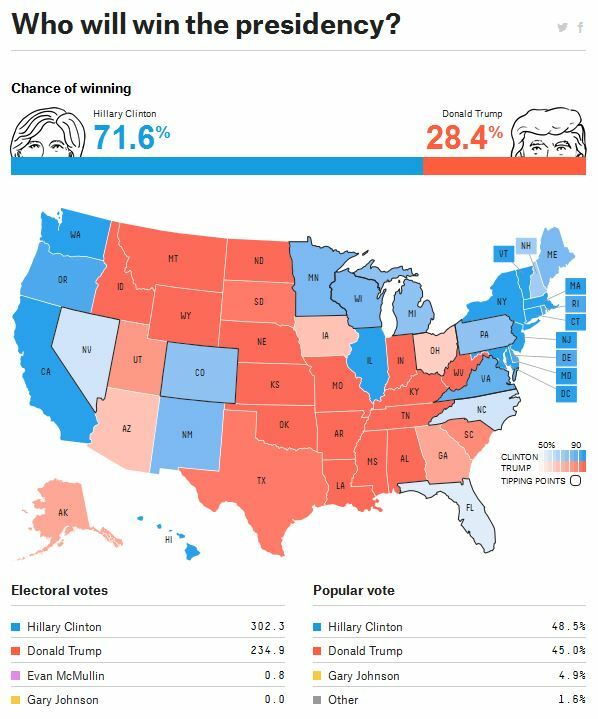 Do we trust this person to handle the crisis that neither the candidate nor the voter knows is ahead? 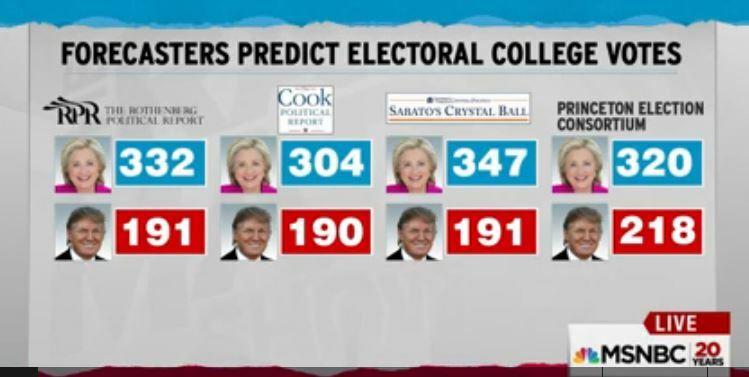 I love watching these poor, pathetic people (pundits) on television working so hard and so seriously to try and figure me out. They can’t! 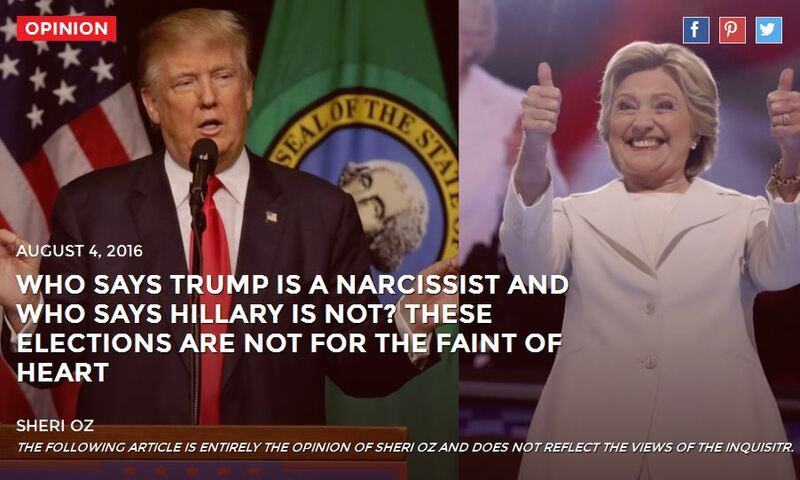 In 2008, and again this year, Hillary has been found to be narcissistic. 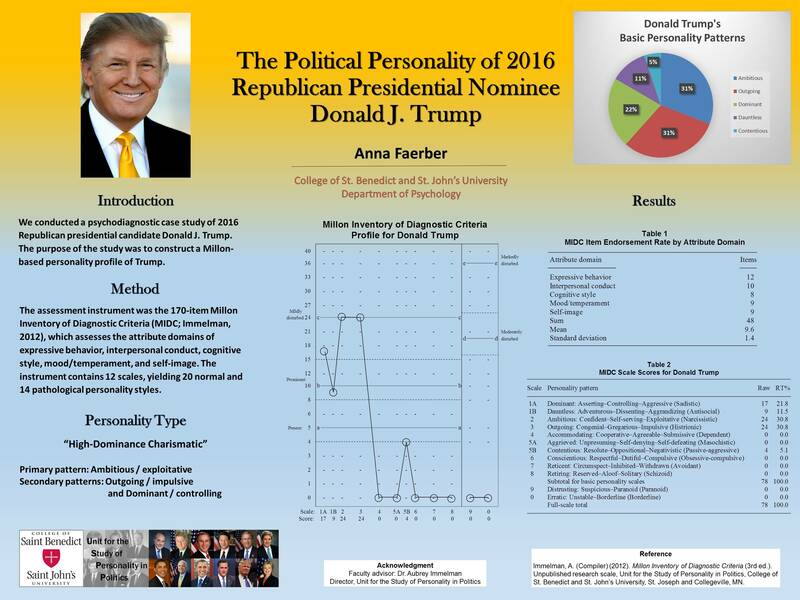 Rylee Pool and Aubrey Immelman conducted a study of her personality at the Unit for the Study of Personality in Politics (USPP). 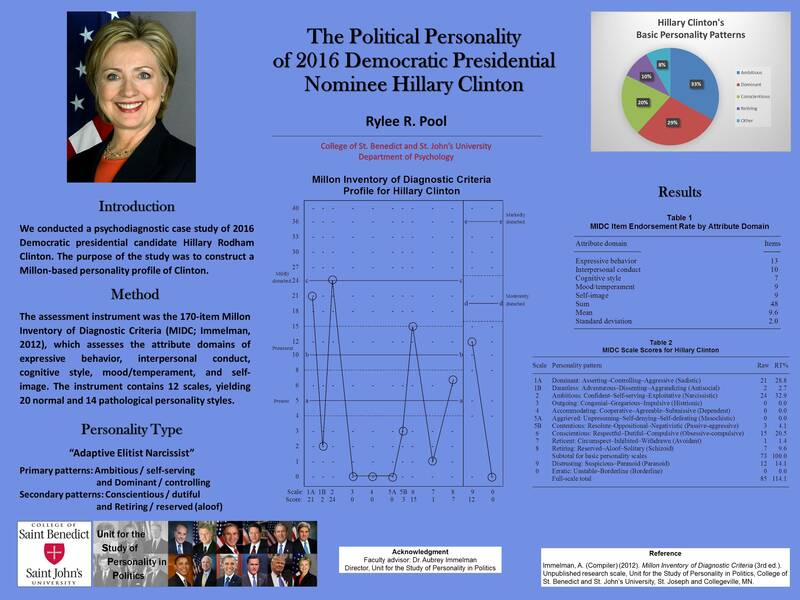 A psychological analysis of Hillary Clinton … revealed that Clinton’s predominant personality patterns are Ambitious/self-serving (a measure of narcissism) and Dominant/controlling, infused with secondary features of the Conscientious/dutiful and Retiring/reserved patterns. 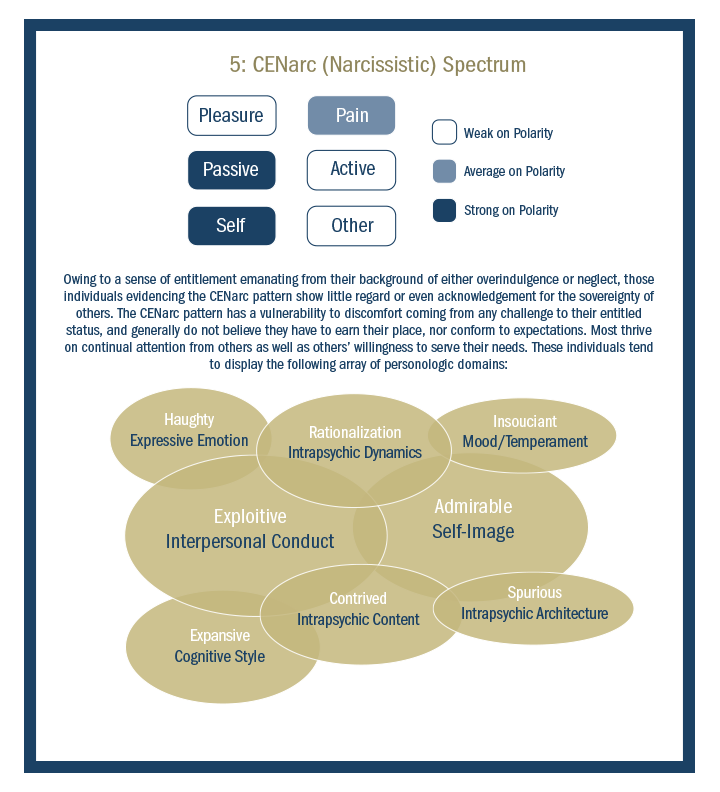 In summary, Clinton’s personality composite can be characterized as an adaptive elitist narcissist. 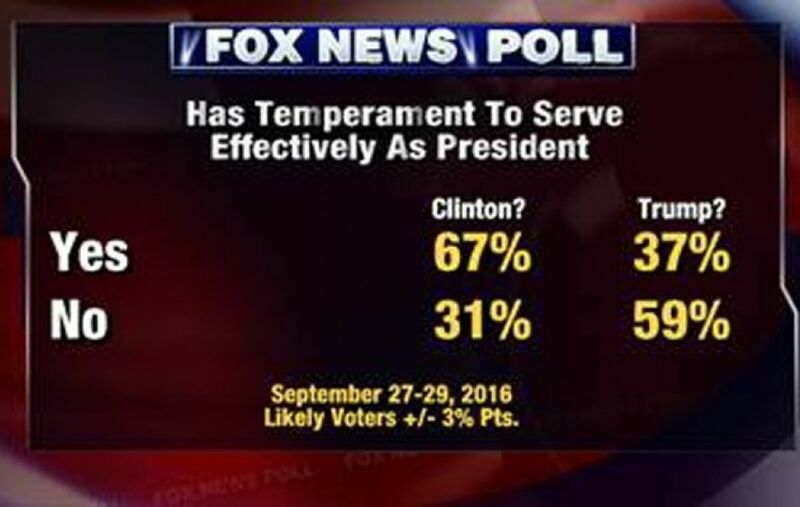 Now let us compare Hillary’s personality assessment with one conducted by Immelman and Hannah Hoppe on Donald Trump. 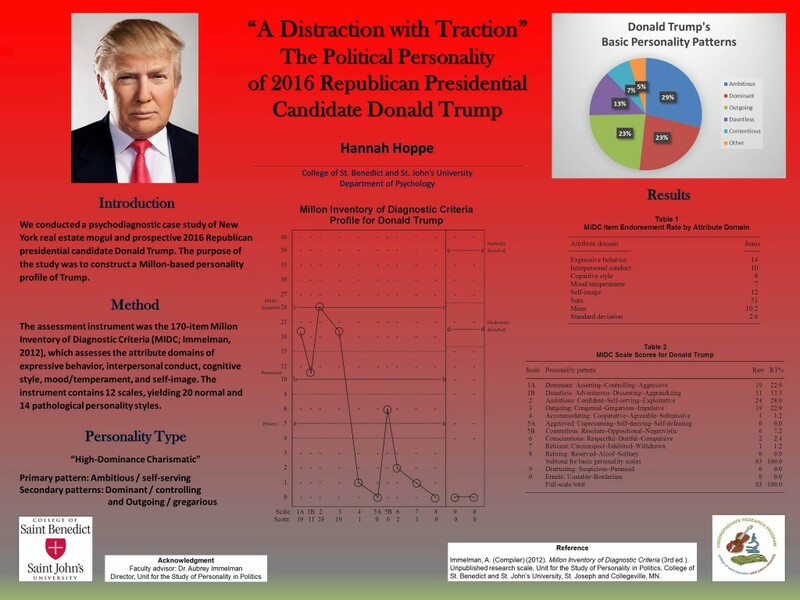 A psychological analysis of … Donald Trump … revealed that Trump’s predominant personality pattern is Ambitious/self-serving (a measure of narcissism) with secondary features of the Dominant/controlling and Outgoing/gregarious patterns. 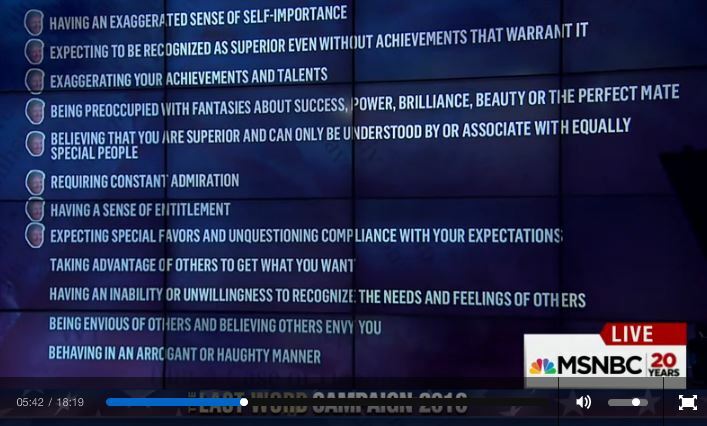 In summary, Trump’s personality composite can be characterized as a high-dominance charismatic. The dominant elements, ambitious/narcissist and controlling, are similar for both Hillary and Trump. Hillary, however, is less of a people person, something her campaign advisors have apparently been trying to work on with her for these elections. Then, on August 11, Politico reported that more than 70 Republicans signed an open letter to Republican National Committee Chairman Reince Priebus urging him to stop spending any money to help Donald Trump win in November and shift those contributions to Senate and House races. 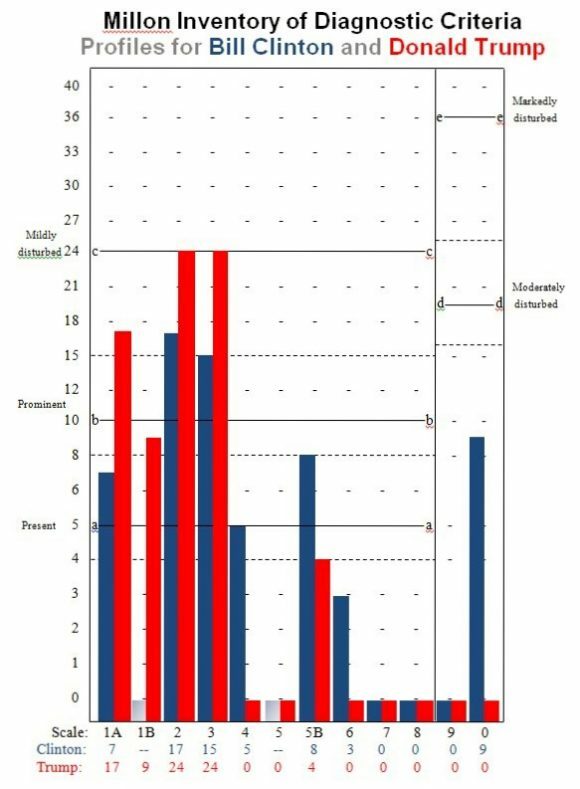 The Personal Electability Index (PEI) model’s predictive utility derives from the practically even division of the nation into reliably Republican and Democratic voting blocks, essentially yielding the balance of power to politically independent and unaffiliated voters comprising as much as one-third of the electorate. 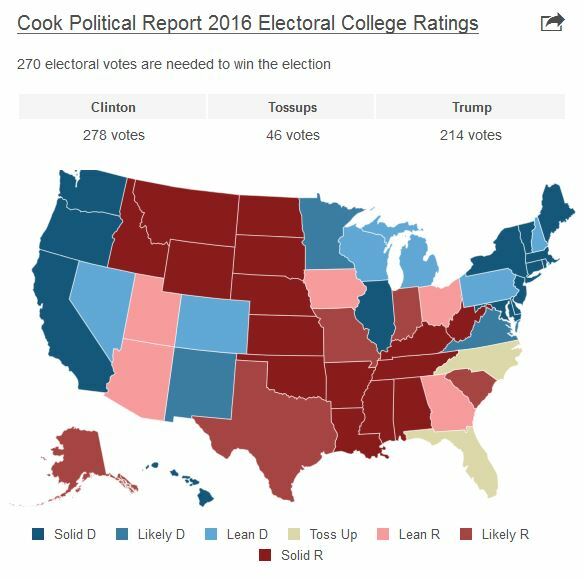 Stated differently, the model assumes that the vast majority (roughly 90%) of registered and self-identified Republicans will vote for the Republican nominee and a similar proportion of Democrats for the Democratic nominee. 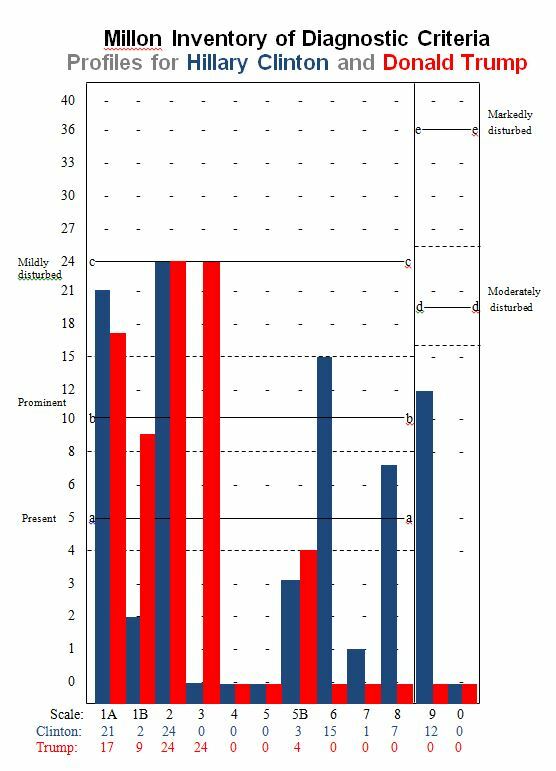 Failure of the party to unite behind their nominee — as currently appears to be the case with the GOP — violates the core assumption of the model and invalidates its predictive utility.